last week, i had the pleasure of going to the drake concert. he was outstanding live! this shirt is my new favorite tshirt in my wardrobe, as you can see here. it's unbelievably comfortable, and i love just the hint of edge it gives to my look. 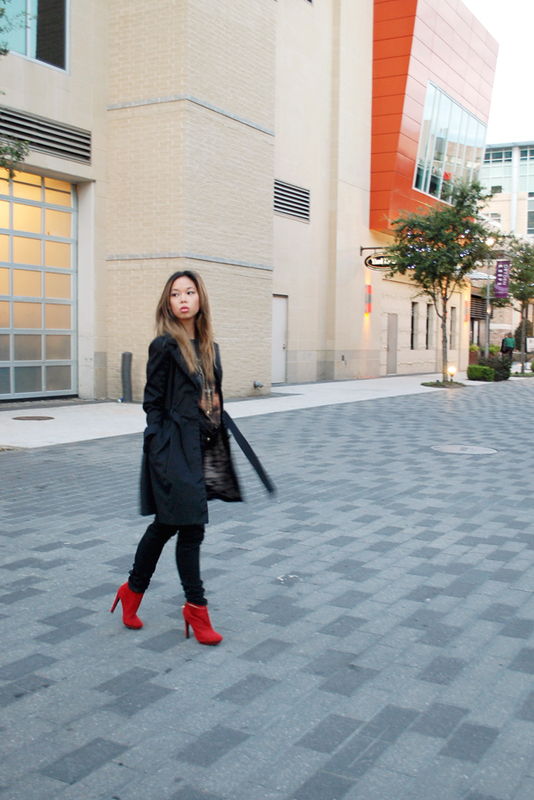 paired with an all black outfit and bright red booties, i was definitely ready to dance the night away at the show.